Originally published January 11, 2019 in OrganicBiz. In naming organic foods as one of its “Tops of 2018,” global analytics company Nielsen ends any debate over whether the industry now worth US$90-billion worldwide is a fad or a trend. “Organic appears to be an age-old growth driver that’s here to stay,” the company says in an online article posted this week. In fact, sales growth continues to outpace previous years, it says. In the U.S., one of the largest organic markets, sales increased last year by nine per cent in value and eight per cent by volume. “At a time when the FMCG (fast-moving consumer goods) industry overall has experienced flat volume consumption, this growth is huge,” it says. Statistics released by the Canadian Organic Trade Association last year indicate the total Canadian organic market is worth $5.4 billion, up more than 50 per cent over 2012. “Today, organics have hit the mainstream,” Nielsen says. “Not only are organic products boosting our industry’s top-line, they are being purchased more by all generational and age cohorts.” Purchases by the coveted millennials are leading that growth with an increase of 14 per cent year over year. The report affirms what industry insiders have known for years. Demand for organic products continues to exceed the available supply, a problem mainstream agriculture would love to have, but also one that brings on its own set of sobering challenges. Michael Sligh, a U.S. organic leader who has worked to develop global organic standards over the past three decades, warns the industry must work harder than ever before if it is to keep up with its heady growth. “We are not on the fringe now. We are fully susceptible to all of the macro ag trends that are wreaking havoc in industrial agriculture today,” he said. Sligh told an organic farmers meeting in Saskatoon late last year the industry must carefully guard the “trusting connection” it has achieved with consumers. Giving consumers what they want, backed up by transparent and enforceable standards based on good farming principles, is why the sector succeeds, he said. However, protecting its relationship with consumers can’t come at the expense of alienating non-organic farmers, because quite simply, the sector needs to attract more farmers if it is to continue to grow. “We need to recognize that we have a supply-demand gap and that we need to be very thoughtful in the way we reach out to this next tier of farmers,” Sligh said. At the same time, the industry must ward off some of the downward pressures, including fraud, that threaten to undermine consumer confidence as new entrants seek to gain faster or larger access to the marketplace. A Missouri farmer was recently convicted of fraud in a $140-million scheme to market conventionally grown grains he purchased from other farmers as organic. Sligh said regulatory enforcement resources have not kept pace with the industry’s growth, which leaves the industry vulnerable to fraudsters cashing in on organic premiums. Sligh said now is also the time to expand the definition of organic to include commitments to soil health, fair treatment of people and enhanced animal welfare. As well, there is a need for full-cost accounting in the food system, he said. 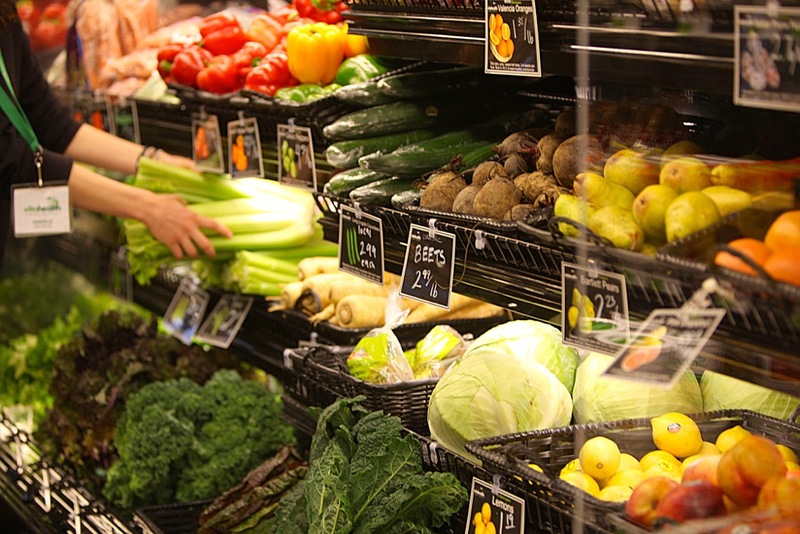 Currently, the higher upfront costs for organic food are frequently compared to the lower grocery store cost of conventionally farmed products. “All the consumer sees is cheap food and thinks it’s great,” he said. In fact, he said consumers are paying for that food four ways: at the store, through their taxes, through their health and the environment. “If they had to internalize all of the industrial model, it would not sustain itself,” he said. It’s a tall order for a sector still wrapped in a fringe identity. Sligh urged organic proponents to see themselves as part of the solution — rather than simply not part of the problem. “Our future will be determined by how successfully we can navigate around these macro challenges during this next period of time,” Sligh said.